The photographs for both are included on the pompeiiinpictures pages for VII.11.14. This plan is to help you accurately locate the rooms shown in the photographs of this Hospitium. 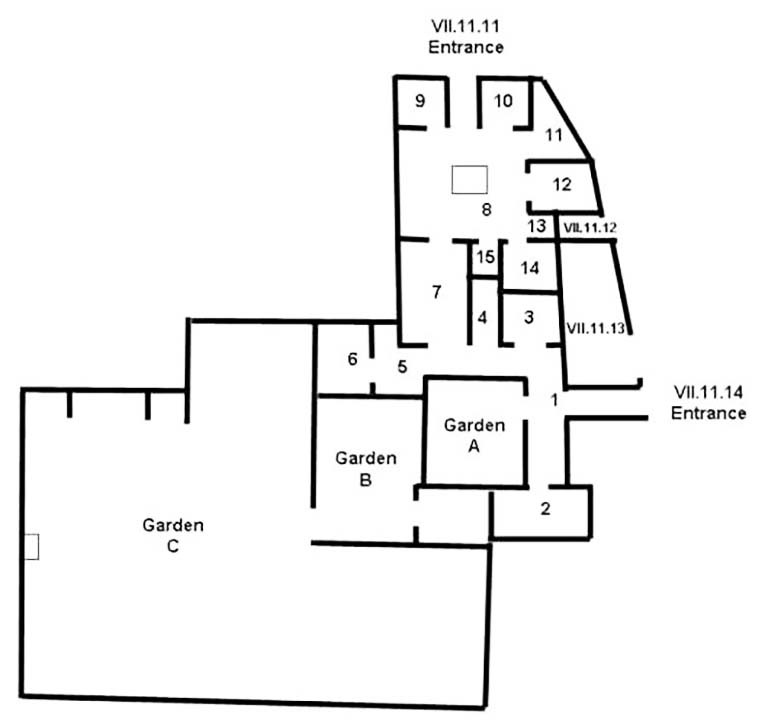 The plan shows the entrances at VII.11.11 and VII.11.14. Also shown, but not part of this house, are the shop at VII.11.13 and the Cella Meretricia under the steps to the upper floor at VII.11.12.